Star Wars Dark Side Door Mat | Come inside and enter the Dark Side! Come inside and enter the Dark Side! 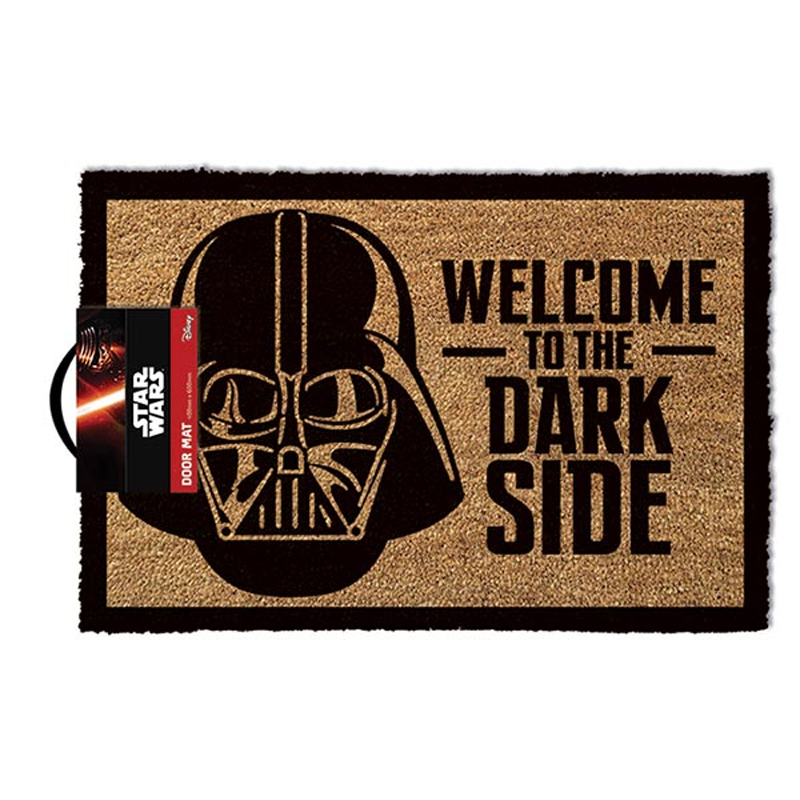 This officially licensed doormat features the imposing mask of Lord Vader with the ominous words "Welcome to the Dark Side". Ideal for both indoor and outdoor use, this hard-wearing galactic home decor accessory is a great way to warn your guests of your loyalties before they enter your humble empire! There will be no illusion of your devotion to all things Sith! Made from PVC and coconut brush material, your coil pile doormat is ideal for keeping dirt off footwear and out of your home. Standard Shipping: "Star Wars Dark Side Door Mat" is unable to be delivered at our normal fixed price of $9.95 because of it's size and/or weight. There will be a small surcharge for freight on the checkout and free shipping will not be applied. Express Shipping: "Star Wars Dark Side Door Mat" is unable to be express delivered at our normal fixed price of $14.95 because of it's size and/or weight.. If you need this item delivered fast the shipping cost will be calculated at actual cost at checkout. Looks great, it's for a Christmas present. I can't wait to see their faces.